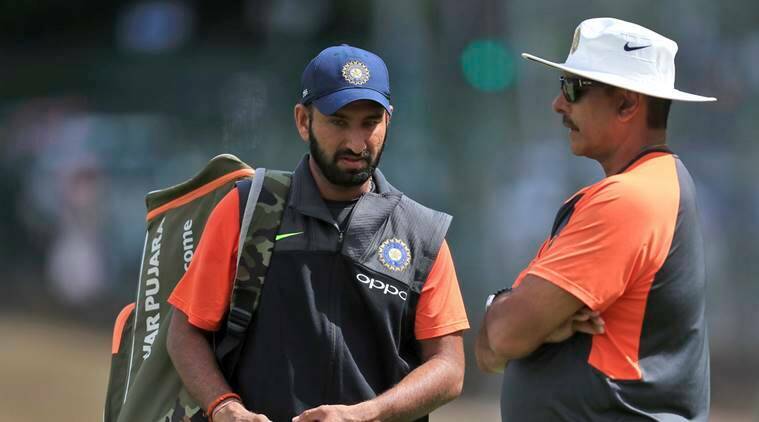 India have made two changes to their playing XI for the second Test at Lord's with Cheteshwar Pujara coming in for Shikhar Dhawan. Virat Kohli had suggested that two spinners was a ploy that India were considering for the second Test at Lord’s. After the first day was washed out and the second day also had dark clouds overhead, it seemed like India could drop that idea but the skipper and management had other ideas. As England won the toss and put India to bat, Kohli revealed that India have brought in Cheteshwar Pujara with Shikhar Dhawan sitting out. With Dhawan absent, KL Rahul moved up the order to open alongside Murali Vijay. In the bowling department, India went for two spinners and surprisingly for some, Ravindra Jadeja didn’t make the cut. R Ashwin and Kuldeep Yadav found a place in the playing XI with Umesh Yadav sitting out due to dry conditions. “We have brought back Pujara, KL Rahul moves up the order in place of Shikhar. Kuldeep Yadav comes in the side for Umesh Yadav purely because the surface is dry. We need an attacking wrist spinner. We have a good balance looking at two spinners and a quality all-rounder,” said Kohli at the toss. While India went for two spinner approach, England went the other way in bringing in Chris Woakes for Ben Stokes who is under trial for the brawl last year in Bristol. Elsewhere, Ollie Pope, 20, made his debut after a strong showing with Surrey in county cricket. “We are going to bowl first. Looks a fresh wicket. With the weather around, it gives us a good chance to take wickets this morning. We are going with Woakes ahead of Moeen and Pope comes in,” said Joe Root at the toss. “He (Pope) was all excited in the dressing room yesterday, just really hope he expresses himself, exactly how he does in the county and really enjoys the occasion,” added Root.